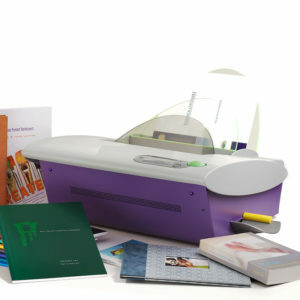 The Fastback® 20 is the ideal binding machine for all corporations, financial institutions, copy shops, print environments, or education establishments that require professional-looking presentations, yearbooks or bound documents at a fraction of the time required to bind with alternative binding solutions such as coil, comb, or wire. 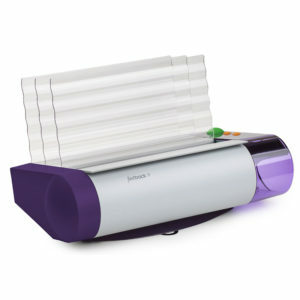 This machine offers unprecedented ease of use with its LCD display that guides the user through each operation using animated illustrations. The Fastback 20 works with all of the Powis binding materials, from the versatile Super Strip to the customised Image Strip to the Perfectback strips for perfect binding books. 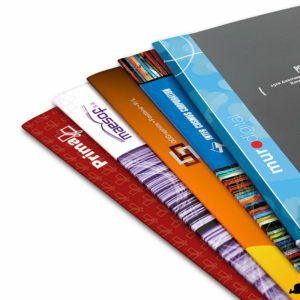 It can create anything from a simple report to a 350-sheet hard cover book. Elevate your documents and proposals. Stand out from the crowd and present your work at its best. The Fastback® 9 offers four types of bindings: Strip, Halfback™, Perfectback™, and Hardcover. Whether you own a small company that is looking for a lowcost method of binding documents, or you work for a large corporation that wants a way to brand its work, the Fastback® 9 is an excellent choice for all your binding needs. For a new level of binding customisation, the Powis Image Strip allows you to promote your brand, enhance your image, and ensure that each prospectus, manual, case study and report you produce is a cut above the competition. Interested in creating a strong bind using coated or glossy papers? 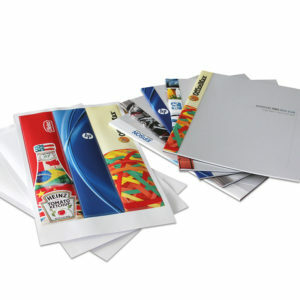 You can turn your Fastback 9 into a photo book binder with the complete Studio Photobook™ System.